We are starting from the bottom Merlings! 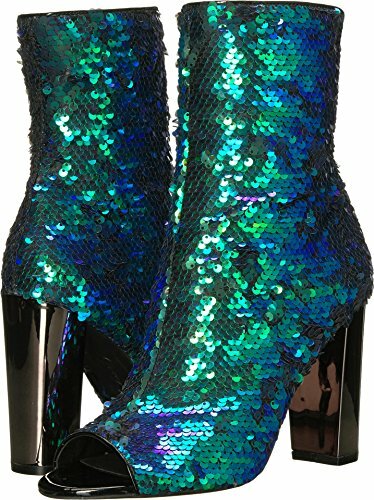 What would you wear mermaid shoes too? I have seen them at parties, parades and even at a nightclub. You can get away with some like every day where but most are for special occasions. CLICK HERE FOR MORE MERMAID SHOE OPTIONS! Mermaid clothing doesn’t always need to be seen. Sometimes you want to keep your mermaid secret close to your sole… as in the sole of your shoe (pun intended). These can be worn as knee highs or under your pants for everyday wear. CLICK HERE FOR MORE MERMAID SOCKS OPTIONS! 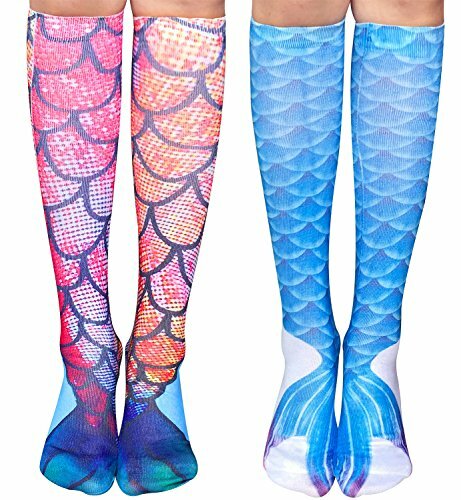 These mermaid tights are hot hot hot! Mostly worn for parties or parades, you could get away with a few of these in everyday where. There are so many styles and colors out there, I never would have guessed. CLICK HERE FOR MORE MERMAID TIGHTS! 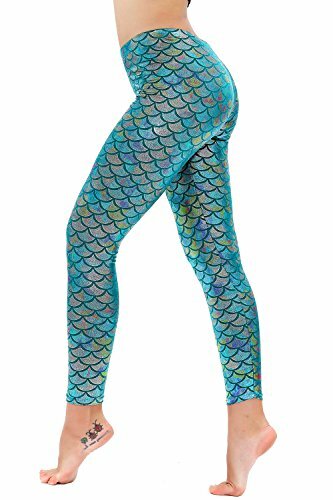 Mermaid leggings are by far the most popular mermaid clothing item on the market. What a great (and comfortable) way to express yourself. Whenever I wear mine, I always get other Mers commenting and expressing the same passion as I do. These leggings are not all created equal. Make sure to look at the spandex to polyester ratio. The more spandex the better. Polyester is great for colors but doesn’t stretch as well and can look see-through. CLICK HERE FOR MORE MERMAID LEGGINGS! If I had a had a choice between regular leggings and yoga pants… I would probably choose yoga pants. Why you ask? They are just more comfortable in my opinion. They usually have a higher percentage of spandex and will sometimes add nylon or rayon for a thicker and higher quality feel. The only problem can be the price. These guys usually range from $60-$100. CLICK HERE FOR MORE MERMAID YOGA PANTS! Where are you going all dressed up in a skirt? 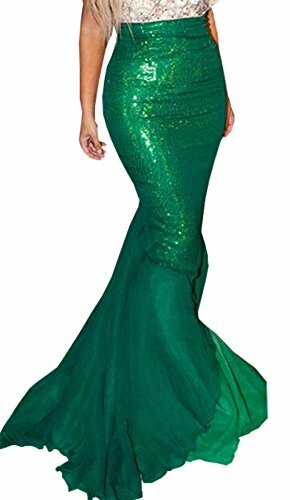 Usually, when you hear mermaid dress or mermaid skirt they are talking about a “cut style” where the fabric is tight around the body and then flares around the knees. These give you killer curves but we like to take our mermaid skirts one step further. There are all different styles and lengths to choose from. 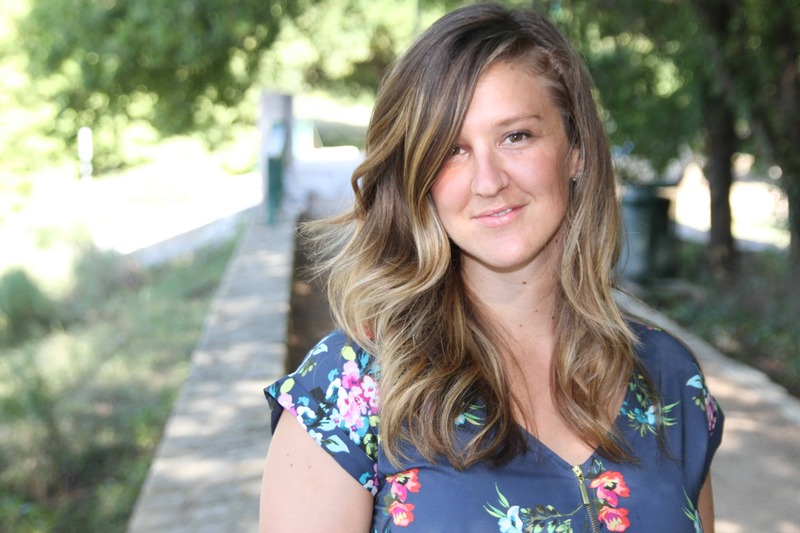 You can wear the style to the office, or a patterned shimmer skirt to a party! So many options. 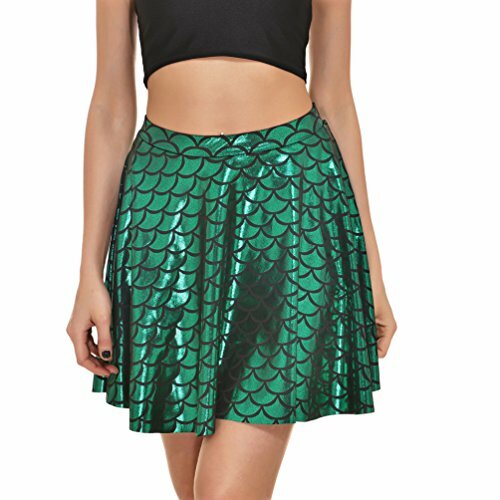 CLICK HERE FOR MORE MERMAID SKIRTS! These are less known in the mermaid clothing world but still really fun. Mainly made from spandex or sequins, these shorts are great for the summer time fun. 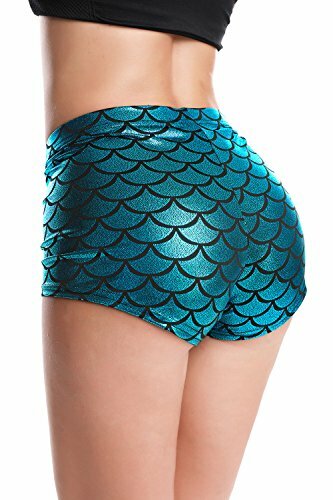 CLICK HERE FOR MORE MERMAID SHORTS! So many mermaid shirts to choose from! How can you choose between all the clever sayings and shell bra illistrations. This is where I cant help you my friend. You are on your own! 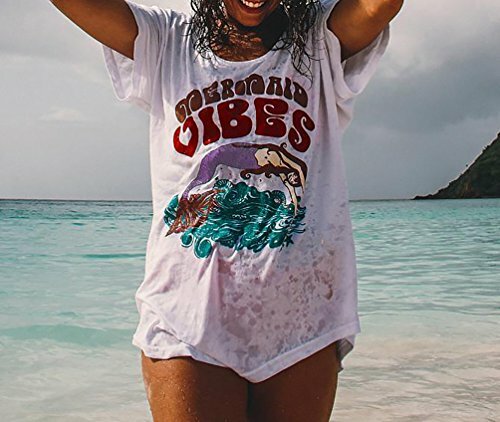 CLICK HERE FOR MORE MERMAID SHIRTS! I see more mermaid tank tops than I do mermaid shirts. But I do find myself at the beach a lot. Which one is your favorite? 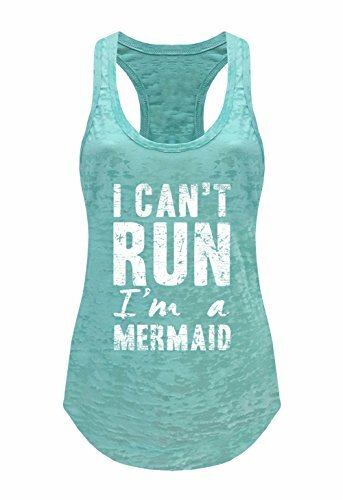 CLICK HERE FOR MORE MERMAID TANK TOPS! What mermaid outfit is complete without some bling? 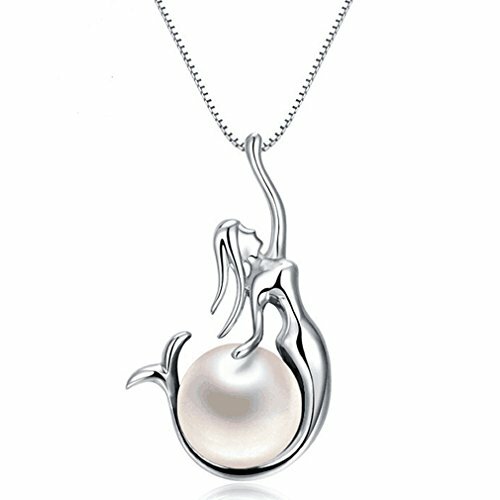 Lucky for us, Etsy has some amazing mermaid jewerly for us. Everything you can think of from earrings to mermaid crowns, they have, or can make you what ever you want. CLICK HERE FOR MORE MERMAID JEWELRY IDEAS! This next section isn’t considered part of the everyday mermaid outfit, but I thought would be nice to include. Getting in the water is one of our favorite activites. Swimming in a pool, river, lake, ocean, it doesn’t matter. We are happy in our element. You might already have a mermaid tail, but you can always get a mermaid swimsuit or bikini if you don’t want your land legs confined. 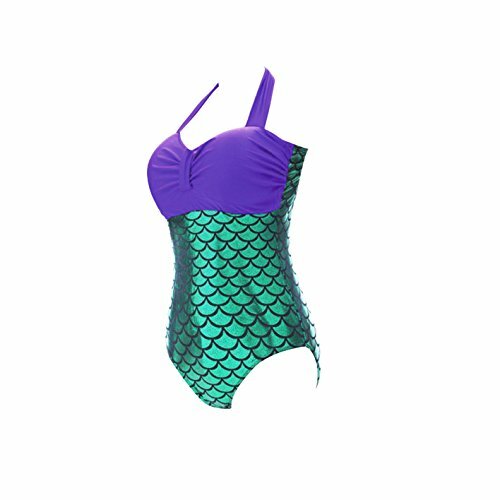 CLICK HERE FOR MORE MERMAID SWIMSUITS! This can be as simple as green eye liner or all out with rhinestones. The ideas and tutorials are endless! CLICK HERE FOR MERMAID MAKEUP IDEAS! Most ladies want long flowing gorgous mermaid hair. Some have it, some need product for it, and some just need to buy it. Ain’t no shame in your mermaid game. CLICK HERE FOR MERMAID HAIR IDEAS! Here we have our mermaid and merman halloween outfits. A favorite times of year for me. Even after the Halloween season is over, if I ever get a chance to wear a mermaid costume, I do it! 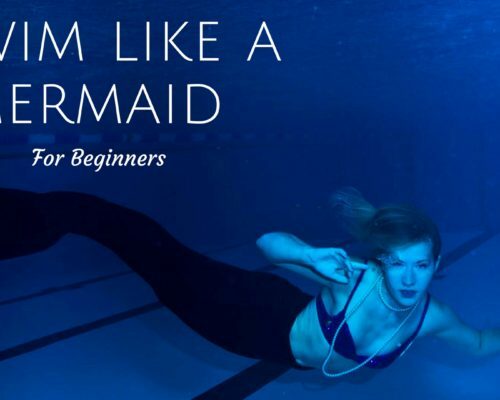 CLICK HERE FOR MERMAID HALLOWEEN COSTUMES! Its a little selfish for me to just focus on mermaid outfits for adults, these little guppies need some attention too! 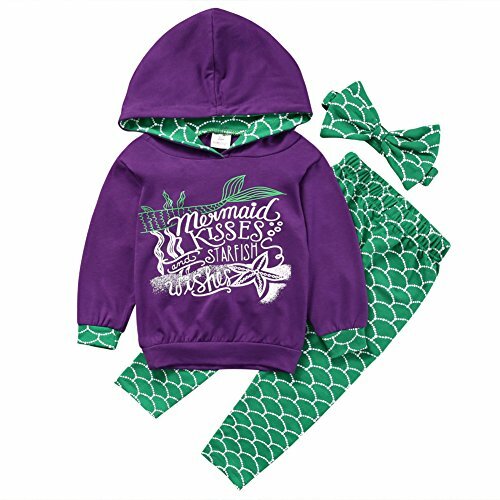 CLICK HERE FOR KIDS MERMAID OUTFITS! Mermaid baby clothes are actually pretty popoular. Maybe its the Mer-moms fault but they are just all so darn cute! There are also a bunch of little mermaid outfit for babies, especially for Halloween. 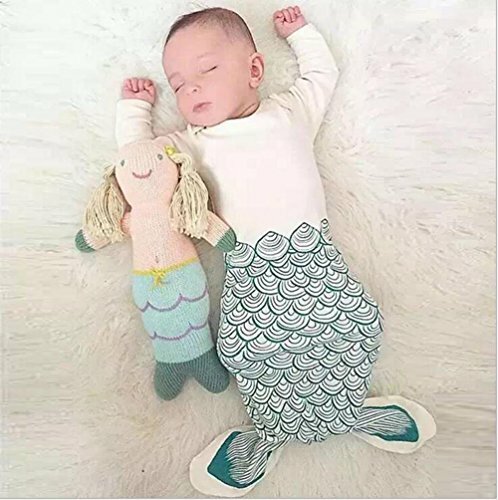 CLICK HERE FOR MERMAID BABY OUTFITS! I hope you have enjoyed these Mermaid inspired outfit! Feel free to comment on what your favorite is, or if I missed any!